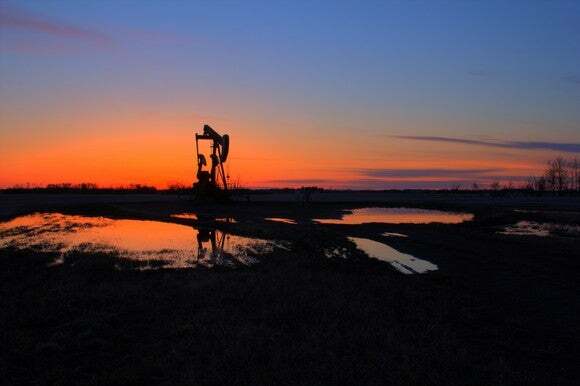 Most oil wells only scratch the surface of their potential. The average well recovers only about 10% of the oil trapped in an underground reservoir. However, by using a variety of enhanced oil recovery (EOR) techniques, companies can boost the amount of oil extracted to as much as 60% of the original oil in place (OOIP). As one would expect, these methods add to the cost, and the additional expense is getting harder to justify in an era of low oil prices . The companies that employ one of the costlier techniques, which involves injecting carbon dioxide into an oil reservoir to coax more oil out of the ground, just got a shot in the arm. A provision in the latest U.S. budget, which President Trump recently signed into law, will significantly boost a tax credit for injecting this gas underground to produce oil. When an oil company drills into a reservoir, oil naturally flows out of the wellbore at first. But as the built-up pressure gets released, the rate of flow falls, much the same way that soda initially gushes out of a shaken can before fizzling out. To boost the flow, companies install a pumpjack (like the one in the picture above) to pull more oil out of the ground. These primary production techniques typically recover only 10% to 20% of the OOIP. The next stage in the process often involves flooding the reservoir with water to push more oil out. This stage recovers just an additional 20% of the OOIP. During the third stage, also called tertiary recovery, gases like carbon dioxide are injected into the ground, which can often recover another 20% of the OOIP. Oil companies have been using carbon dioxide for more than 40 years to boost output and prolong the life of legacy oil wells. However, it’s a costly process. Producers must secure a supply of carbon dioxide, build a pipeline to the field, drill carbon dioxide injection wells, and finally flood the reservoir. The carbon dioxide then moves through the formation and mixes with the oil, pushing it toward the producing well. To help offset the additional costs, a tax credit of up to $10 per ton of carbon dioxide injected into the ground has been available to EOR producers. The new budget that President Trump recently signed into law boosts that credit up to $35 per ton for the next 12 years. 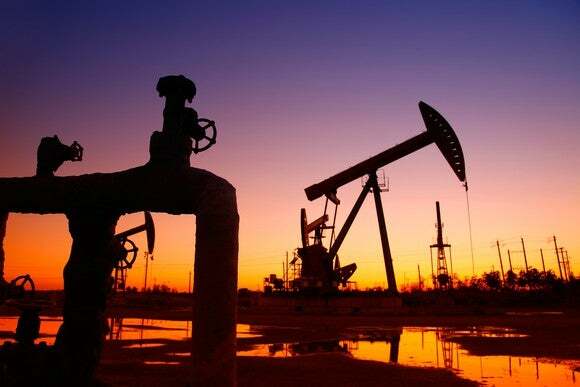 That will help reduce costs for the top EOR producers in the country: Kinder Morgan (NYSE: KMI) , Denbury Resources (NYSE: DNR) , and Occidental Petroleum (NYSE: OXY) . While it’s known as a natural gas pipeline company, Kinder Morgan is also one of the largest oil producers in Texas , with all its output coming from carbon dioxide . In addition to producing oil, the company controls carbon dioxide source fields in Colorado and New Mexico, as well as the pipelines that move the gas to oil fields in Texas. In fact, the company is the largest transporter of carbon dioxide in North America, moving 1.3 billion cubic feet per day. Kinder Morgan’s carbon business is already a vast operation, and the company plans to spend $1.6 billion over the next five years to expand it. And thanks to the higher tax credit, the company could invest even more, since it stands to benefit twice: The change should reduce its production costs and potentially give it an opportunity to expand its supply and transportation business to meet the needs of other producers in the future. Oil giant Occidental Petroleum operates more carbon dioxide floods than any other company in the country. Each year, it injects more than 700 billion cubic feet of carbon dioxide into the ground to produce oil. Occidental plans to invest $550 million over the next few years on additional carbon dioxide floods. If the tax credit works as hoped, the company could reinvest its savings and boost that spending level to increase output further. Denbury Resources’ focus is EOR, with 60% of its production coming from this process. While Kinder Morgan and Occidental Petroleum concentrate solely on coaxing more oil out of the Permian Basin , Denbury produces from the Gulf Coast and Rockies regions. Another thing that’s unique about Denbury: A quarter of its carbon dioxide comes from industrial sources. For example, Air Products (NYSE: APD) recovers and purifies carbon dioxide captured at one of its facilities in Texas, and then transports it on Denbury’s Green Pipeline. Denbury then injects it into the West Hastings Field in Texas. This process captures 45 million cubic feet of carbon dioxide each day produced at Air Products’ facility. It’s one of two industrial sources used by Denbury in the region, with a third one potentially coming on line in 2021. While Denbury has the resources in the ground and access to carbon dioxide to produce more oil, it lacks the capital to build the pipelines necessary to flood additional fields. It has proposed building a 110-mile, $150 million pipeline project in Montana and a 90-mile, $220 million expansion in Texas, and with oil prices improving and the tax credit expanding, the company might be able to move forward with those projects. The increased tax credit will certainly benefit this trio of EOR producers in the coming years by helping reduce their production costs. The resulting improvement in cash flow, which would be even bigger with higher oil prices, could help spur more investment than currently planned, which in turn could enable these companies to increase production faster. Those factors could also help reverse the fortunes of investors in this trio of oil stocks, all of which are down sharply in the past few years due to the lingering effects of the oil market downturn. David and Tom just revealed what they believe are the 10 best stocks for investors to buy right now… and Kinder Morgan wasn’t one of them! That’s right — they think these 10 stocks are even better buys. Matthew DiLallo owns shares of Denbury Resources and Kinder Morgan and has the following options: short March 2018 $17 puts on Kinder Morgan. The Motley Fool owns shares of and recommends Kinder Morgan. The Motley Fool has a disclosure policy .